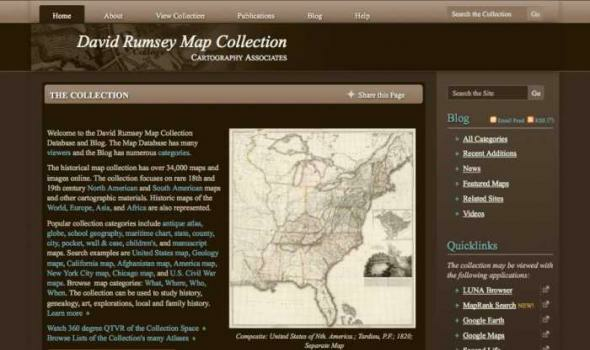 Welcome to the David Rumsey Map Collection Database and Blog. The Map Database has many viewers and the Blog has numerous categories . The historical map collection has over 34,000 maps and images online. The collection focuses on rare 18th and 19th century North American and South American maps and other cartographic materials. Historic maps of the World, Europe, Asia, and Africa are also represented.